Increase your web presence by having a product resource integrated into your website for your customers to browse and your staff to efficiently do product research all from one location. Provides tremendous SEO value to your own site by placing your site's entire navigation on thousands of pages, and use a subdomain of your site to link to the AV-iQ resource. 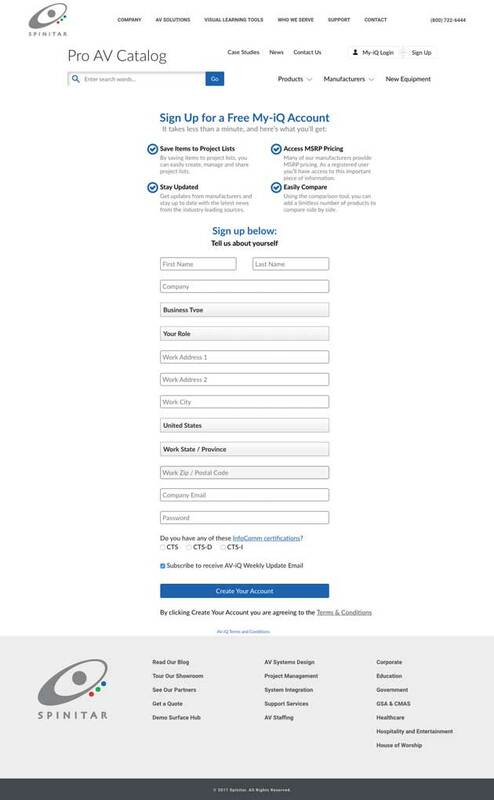 Receive lead opportunities from users on AV-iQ.com searching for local resellers/integrators. Gain exposure for your Case Studies by entering them into our database to be published on AV-iQ.com. We have been extremely pleased with the AV-IQ website services. We no longer have to constantly worry about updating our website with new product information, as it is done for us now. The leads that have been generated, have brought us new sales, and new customers. Our website looks and feels so much better, and has a tremendous amount of more information and products to research. I would recommend AV-IQ to anyone looking to increase their revenue, and visibility. We have relied on AV-iQ for years to maintain our online product catalogue. 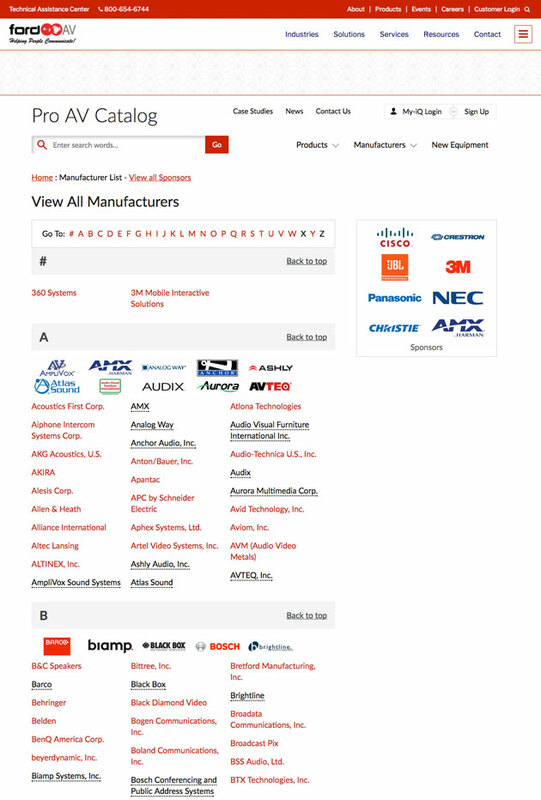 Keeping up with the hundreds of manufacturers we partner with and the thousands of products they offer is no small task. I appreciate knowing that this important piece of our website is in good hands. AV-iQ was highly-responsive to our needs, allowing us to positively impact the customer experience and match AVI-SPL processes. 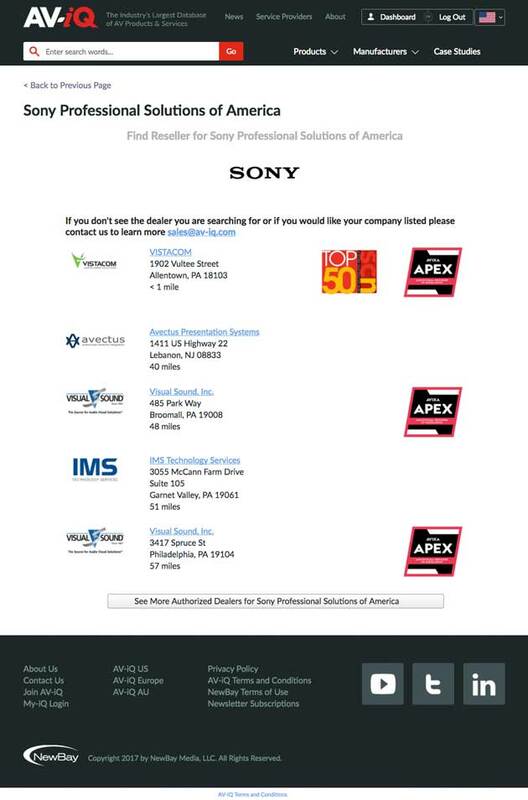 Partnering with AV-iQ and utilizing its custom catalog on our newly-designed website has created a huge benefit for our new website's visitors. For the past decade Spinitar has benefited from using an AV-iQ product resource on our website by attracting end users and generating both sales leads and tremendous SEO value to our own website. With the addition of their Case Studies section on AV-iQ.com we are now able to highlight some of our best installations and gain even more exposure for the great work we do for our clients. This is a one-of-a-kind resource in the industry that is a must-have for our business!